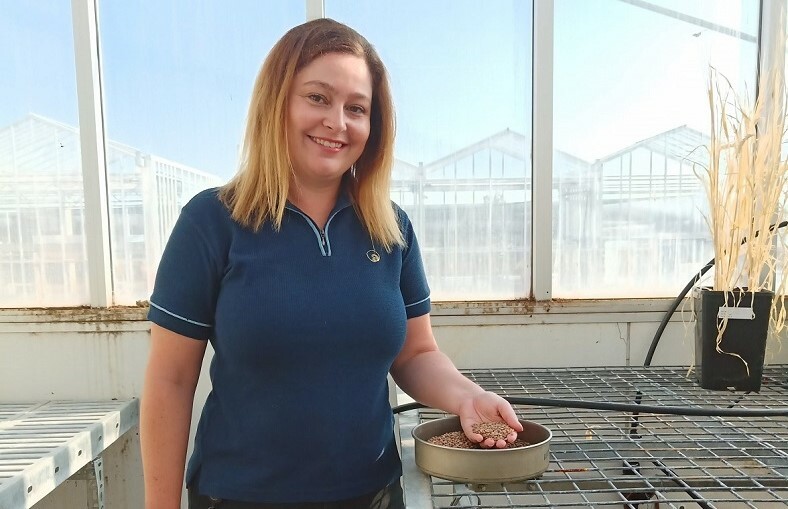 Research officer Stacey Hansch is part of the DPIRD team working on a new project to support the adoption of high value pulses in WA cropping programs. WORK is about to commence at several sites throughout the Western Australian grainbelt on a new project to support the adoption of high value pulses in WA. There has been renewed interest in lentil, chickpea and faba bean production in WA, prompted by positive recent trial results and a buoyant market outlook. The WA Department of Primary Industries and Regional Development (DPIRD) is leading the new $2.26 million, three-and-a-half year project, with co-investment from the Grains Research and Development Corporation (GRDC). Project leader, DPIRD senior research officer Mark Seymour, said the project would take a multi-faceted approach to deliver the evidence required to give grain growers in the northern, central and southern regions confidence to plant pulses. Mr Seymour said the project aimed to significantly increase production of lentils, faba beans and chickpeas over the next five years. “Profitable pulses can play an important role in growers’ cropping programs, as a break crop with nitrogen fixing characteristics that can generate additional farming system benefits,” he said. While pulses have previously been grown in WA – particularly lupins, which opened up large areas of sandplain soils to cultivation – many pulse crops lost favour due to disease risks, yield variability and low profitability. The new pulse project will draw from data and previous department and GRDC projects from across Australia to develop production packages for lentils, chickpeas and faba beans that reduce production risks and achieve yield stability. “Department lentil trials sown at several locations across the grainbelt in 2017, for example, showed good potential, achieving seed yields of 1.5 tonnes per hectare or more, creating a viable option for growers on medium to heavy textured soils,” Mr Seymour said. The department is looking to establish a series of six to eight pulse agronomy demonstration trials in 2019 of new varieties with local grower groups and private consultants at Grass Patch, Dalwallinu, Mingenew and around the Kojonup area. “These demonstration sites will be a great opportunity to demonstrate best-bet agronomic packages for several newly released lentil, chickpea and faba bean varieties,” Mr Seymour said. The department intends to work with a range of collaborators during the project to harness the latest knowledge and advances in pulse production. “The team will be collaborating with Pulse Breeding Australia, Murdoch University and South Australian Research and Development Institute rhizobia projects, Regional Cropping Solutions Network large scale pulse projects, Pulse Association of the South East and department funded herbicide tolerance projects and will be available to talk at National Variety Trial pulse trials throughout the state,” Mr Seymour said. The project recently appointed research officer Stacey Hansch to assist with the field trials and extension program, as part of the department’s commitment to encourage the next generation of grains research scientists.